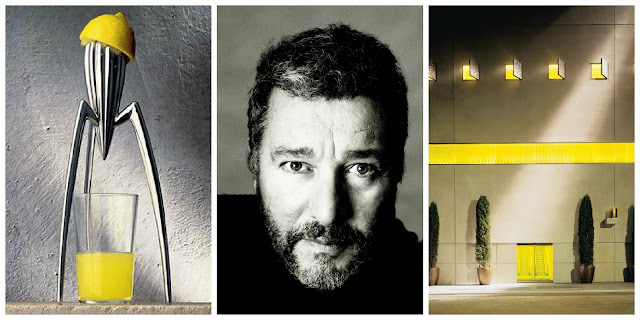 Phillipe Starck creates the functional and the fantastical. He tries to change perspectives and one’s angle of thinking. 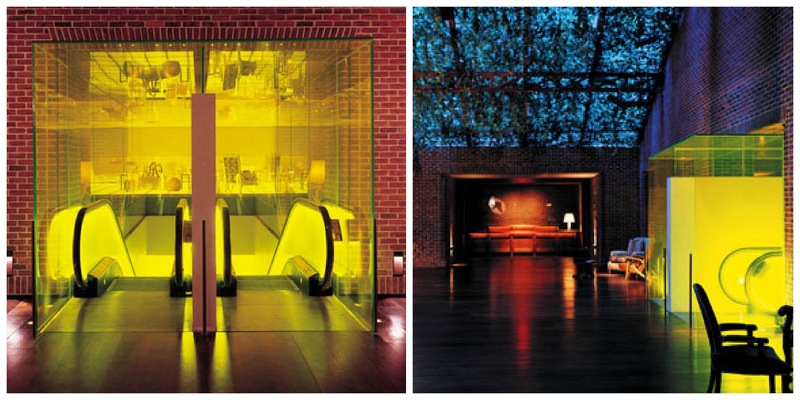 He is one of the most fascinating architects, interior designers and product designers in contemporary design today. In 1990, Starck changed the industrial design market. Objects were no longer simply functional. Objects and furniture were anthropomorphized- he attributed human or animal characteristics onto objects and furniture with a sense of humor and irrationality. Like his iconic Juicy Salif lemon squeezer for Alessi. (1) It generated many discussions about its meaning and design and now is shown on permanent collection at the MOMA in NYC. So, it is no surprise that when Phillipe Starck collaborated with Axor, the Hansgrohe AG designer brand he would think of the bathroom differently, a new angle. The bathroom is not just a room to wash yourself. Phillipe thought of it as a room of pleasure or a room to rest, a "salle d'eau" or room of water. 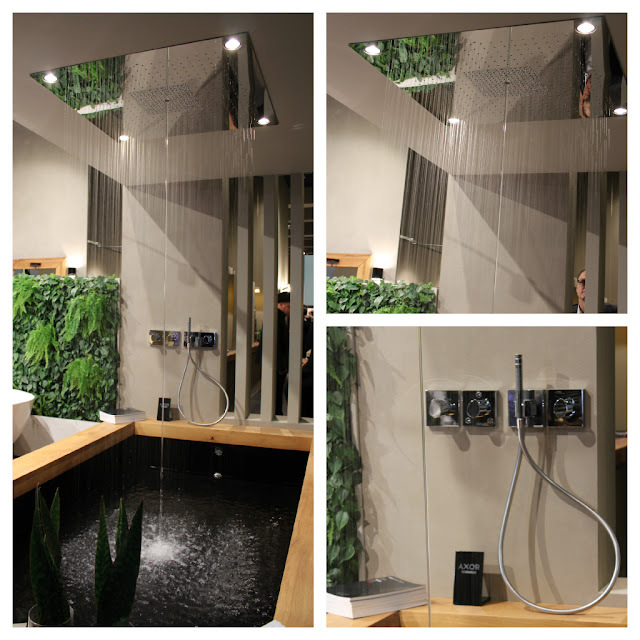 The Axor Starck shower collection was shown at the imm-cologne trade show. It is a complete system of showers, mixers and accessories that turns the shower into a personally designed spa. I was blown away by the power of the rainfall: the aesthetic, the pulse and the luxurious feel of the water was extremely overwhelming ;yet, calming! At the Axor display, we were able to meet with Phillipe Grohe, who heads the Axor brand. He explained to us that the overhead shower format can take on the basic principle of the square into smaller shower areas. 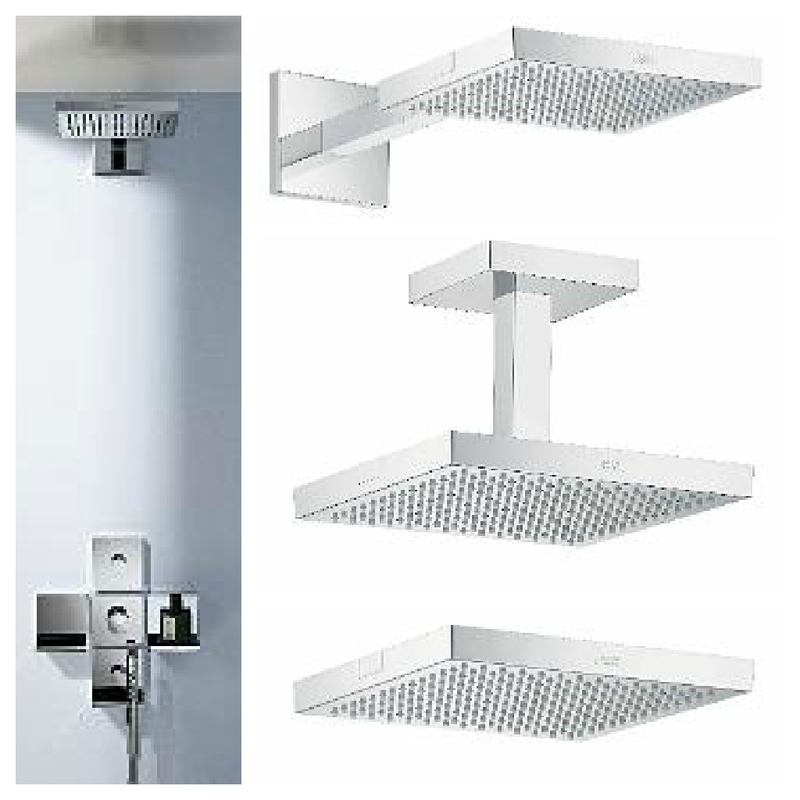 Depending on the size of the bathroom, the stainless steel rain shower can be mounted in three different ways- flush-mounted, with ceiling connector and wall mounting with shower arm. The waterfall spout is multi-functional and the system is modular. The squares can line up like a mosaic and piece together in multiple formats. This flexibilty provides unlimited freedom to create individual bathroom solutions! What is also interesting is how the rain zone is blended with air, providing a more powerful shower experience. You can control the water flow depending on the type of shower experience you want - just like being in a spa, but in your home. This sophisticated collection was tailor-made to create a new aesthetic, a new territory and a new control for well-being and bathroom design!! Thank you again Axor for sponsoring BlogTour Cologne!! 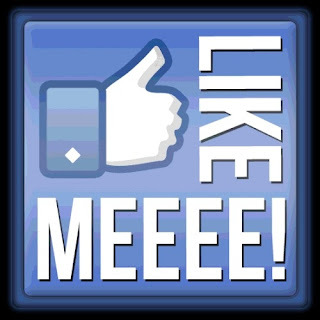 Stay tuned for my personal interview with Phillipe Grohe!! Thank you Phillipe!